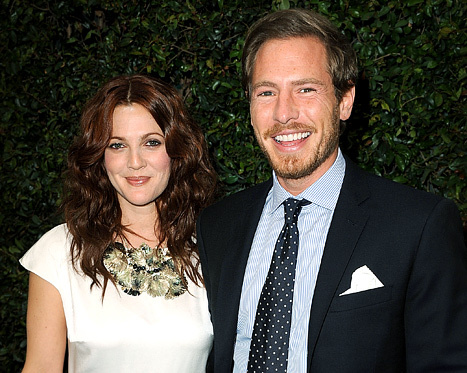 Actress Drew Barrymore has tied the knot for the third time, marrying her art dealer fiance Will Kopelman this weekend in Southern California, media outlets reported on Sunday. The "Charlie's Angels" actress, 37, wore a Chanel gown and wed Kopelman on Saturday in a Jewish ceremony at their estate in Montecito, California, outside Los Angeles, with guests including Reese Witherspoon, Cameron Diaz, Jimmy Fallon and Busy Philips, according to People Magazine. The celebrity magazine also said Barrymore is pregnant with the couple's first child. Representatives for the actress did not immediately return calls for comment on Sunday. This is the third wedding for Barrymore, who was previously married to bar owner Jeremy Thomas in March 1994, filing for divorce less than two months later, and comedian Tom Green in July 2001, with Green filing for divorce less than six months later. Barrymore, a member of the famous family of actors and granddaughter of John Barrymore, first gained fame as a child actress in Steven Spielberg's "E.T. : The Extra-Terrestrial." Over the years, she has forged a successful career in romantic comedies such as "Never Been Kissed" and "He's Just Not That Into You," as well as the "Charlie's Angels" action films based on the 1970s TV show. She founded her own production company, Flower Films, and made her directorial debut in 2009 with roller-derby comedy "Whip It."